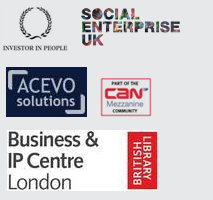 Celebrating diversity and promoting integration amongst British and migrant entrepreneurs. The Migrant Entrepreneur of the Year Awards will be held at the Palace of Westminster (Houses of Parliament) on 27th April 2019 from 7pm. If you know a migrant entrepreneur who deserves to be recognised for their hard work and dedication, please nominate them here. They must be born outside of the UK and run a business. The finalists are chosen by public votes. 19 entrepreneurs will leave the Houses of Parliament with a trophy which will symbolise the hard work, dedication and achievement they deserve. Once lucky winner will also be on the cover of High Profile Magazine. It’s free to attend the Migrant Business Show. If you are interested in exhibiting or being a speaker at the Migrant Business Show you can book a call here. Published: February 1, 2019. Categories: News.